It’s a paper menagerie from Hartia. 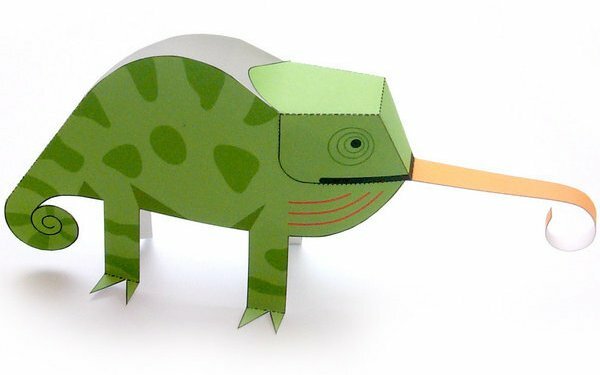 ‘Couplicoles’ are three dimensional paper toys, the name coming from the French for ‘cut’ (couper), ‘fold’ (plier) and paste (coller). 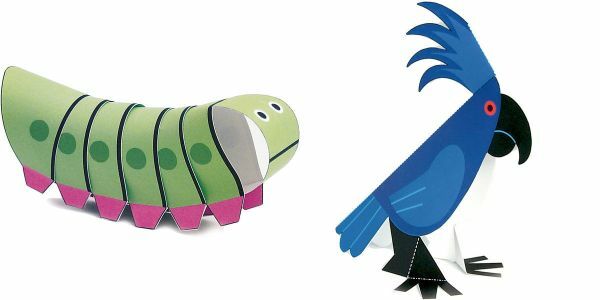 Like Japanese origami and scale models, Jouets Hartia Toys’ delightful collection of paper animals, insects, birds and other characters are both educational and fun to build. Small details make particular animals stand out – the whale’s spout, the chameleon’s long tongue and the octopus’s dangling tentacles, all features that work well in paper. 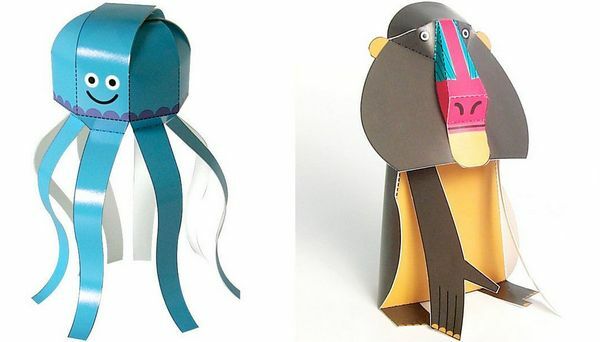 Hartia paper toys are available in themed sets, each containing twelve sheets of animals or characters to build. The paper models can be used to make a mobile or simply admired! Sets of Hartia paper models are NZ$35 each and are available from Plush Toys. Plush Toys ships to Australia.